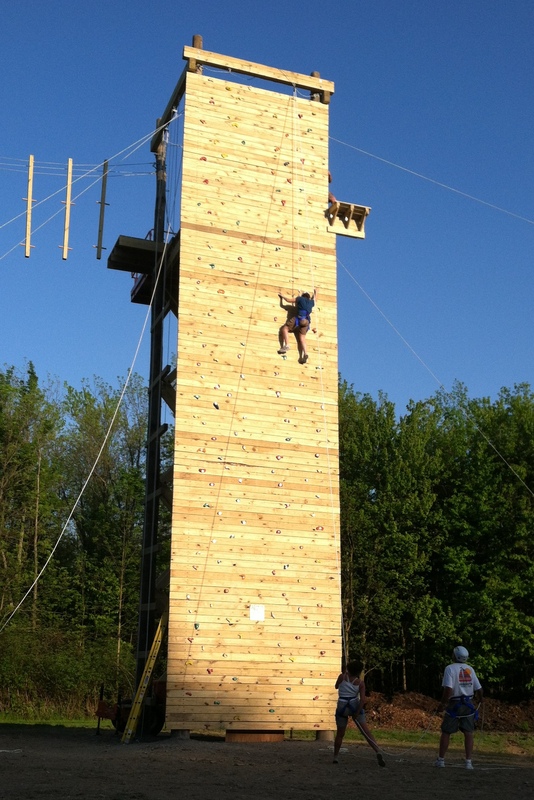 Pioneer Camp and Retreat Center recently built the first phase of a high ropes course. I unexpectedly got the opportunity to go there this weekend to be trained as a facilitator on the course. Having helped with high ropes at camp for years, I couldn’t turn down the opportunity to come hang out 50 feet in the air and relax in the evening by the beautiful beach. As I met with God Sunday morning before heading to church and came across this verse, I couldn’t help but be reminded of the numerous ways in which climbing a high ropes element can be a parable of sorts for our faith. The following few posts each will hold some of my reflections on life, faith, and rock climbing. Enjoy! I imagine a huge climbing wall before me, each rock placed there by God’s hand. Each one, secured as a firm place to stand. There’s no specific route to take. Some steps are easier than others and some handholds almost seem impossible. But up I go, through each day, each month, each year. And occasionally, it happens… the fingers slip, the foot misses a hold, you fall, but you do not crash to the ground because you’re on belay. God’s gotcha! It feels like it for a moment but then your harness of grace catches you, the rope of faith tightly gripped in the Father’s caring hand. He’s always focused on you… His eyes always on you… never a moment when he gets distracted or looks away or takes his hands off the rope. He’s active in our lives; with each step we take, He too moves, our faith moving as well. We’re always in view, he never leaves. He’s not caught off guard when we stumble and fall and will even let you sit back and take a rest when the path is just too much to handle. Even when you take the path he warned you wouldn’t be the best for you, He remains ‘on belay’ always ready to catch you when you fall. He’s always on belay!